All of our Playschool 2, Preschool, and Kindergarten students attend specials. Specials enrich your child’s basic learning experience. The specials are Chapel, Computer (3 and up only), French, Movement, Music, Science and Social Studies (4’s and K only). In addition to these activities, the preschool maintains a library where the children can check out books. These books are loaned to your children and must be returned by the end of the school year. They can check out one book at a time and must return the previous book before checking out a new one. 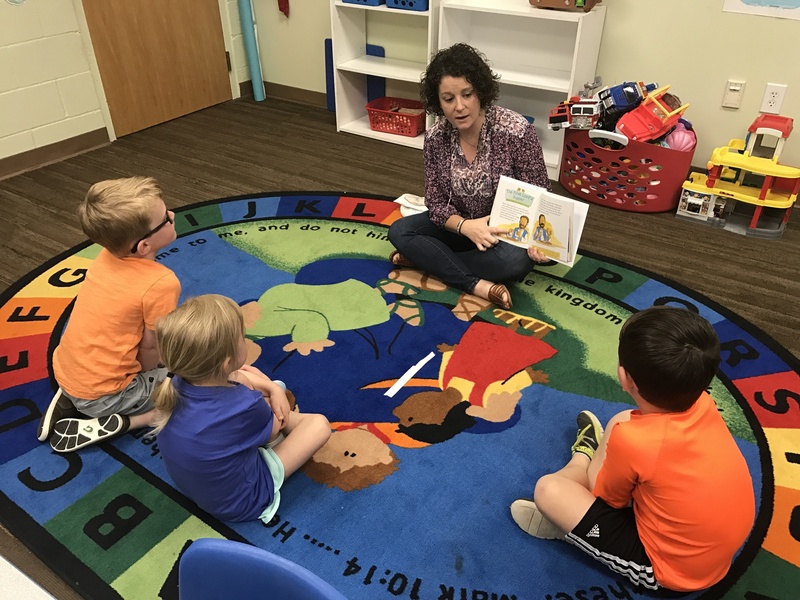 Each month focuses on different aspects of the Bible and Jesus’ teachings, using the Cokesbury Deep Blue preschool curriculum as a guide. Through these lessons, values such as grace, community, love, service, and worship are taught, as well as basic prayers and an introduction to mission and service. 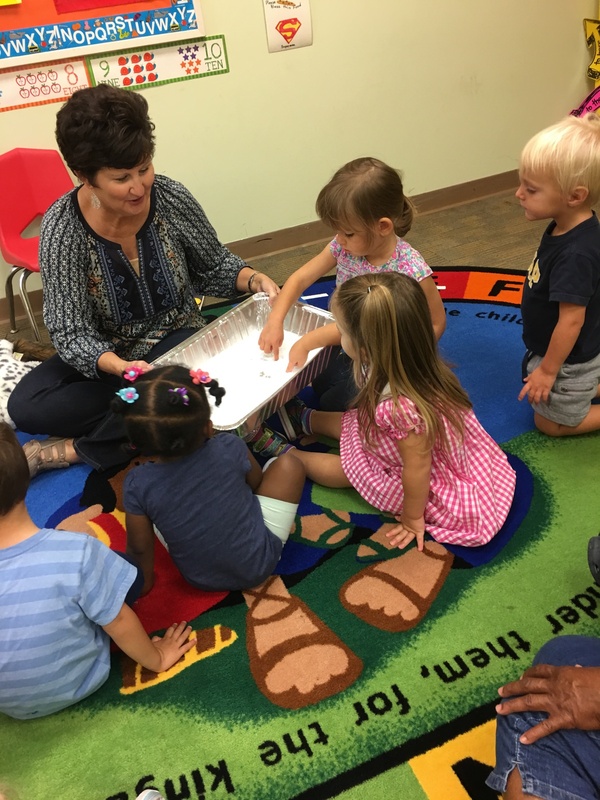 As a church preschool, we help in many service projects alongside the larger church and even respond to requests from community organizations. 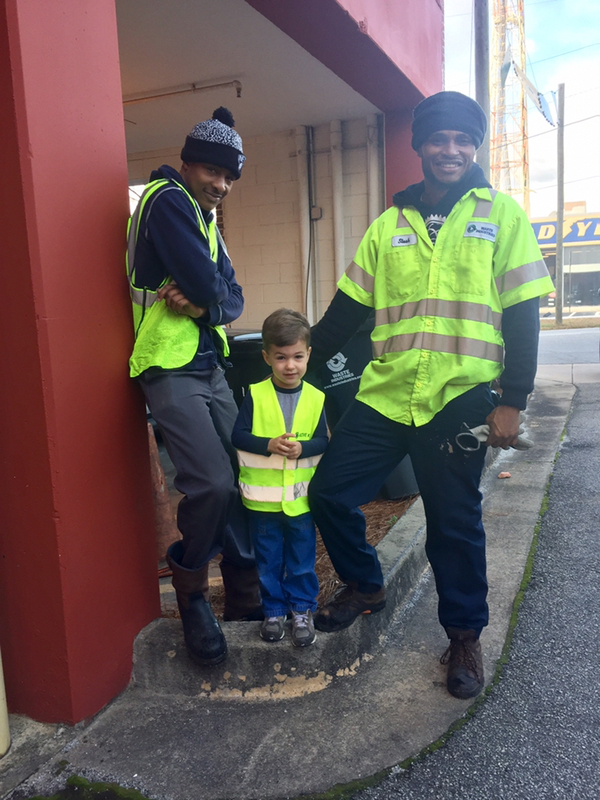 We strive to make our children aware that they are a part of a larger church, community, and the world – not as buildings or places, but people who are loved by Jesus Christ. Computer is taught to all 3, 4, and 5-year-old students. While the primary lesson plan is World Geography, Computer class seeks to bridge all of the specials and classroom activities in which the students are involved. Each month, the students are introduced to a different continent, its people, culture, food, festivals, and animals. All students are expected to be able to name and locate on a map the seven continents by the end of the school year. We also learn some vocabulary: Map, Globe, North Pole, South Pole, Equator, and Continent. The Kindergarten students are expected to also identify the 5 oceans, the equator, and cardinal directions. All of our primary lessons are taught using the ABC Mouse program. Within this program, students listen to songs, books, and lessons geared to our study of the month. They develop fine motor skills by directing the mouse to complete complex puzzles, color sheets, mazes and many other learning activities. 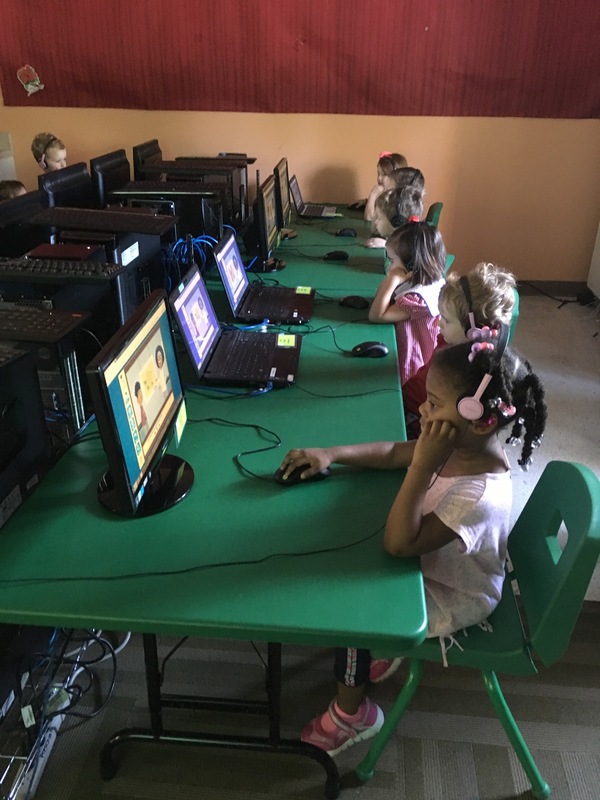 In addition to ABC Mouse, the 4 and 5-year-olds (Kindergarten) use a math program called IXL. IXL is an online math tool geared to the Georgia state standards. Students receive awards for completing small amounts of this program at home as well. Many of our students complete their entire age-appropriate math section by the end of the school year! The computer lab is also home to a moveable iPad station containing 14 iPad minis. These devices are available for any classroom to utilize as part of their daily routine. Studies show that preschool is the best time to introduce a child to a foreign language. Because they hear all sounds indiscriminately, they can pick up on and learn other languages just as simply as their own. Learning a second language is also linked to an increased performance in all areas of academics. The French language is spoken on five continents and is the official language of 29 countries and, after English, it is the most-learned language worldwide. All of these benefits make it an ideal choice for preschool students. During French class, your child will learn basic colors, numbers, and object names, as well as traditional French greetings and songs. 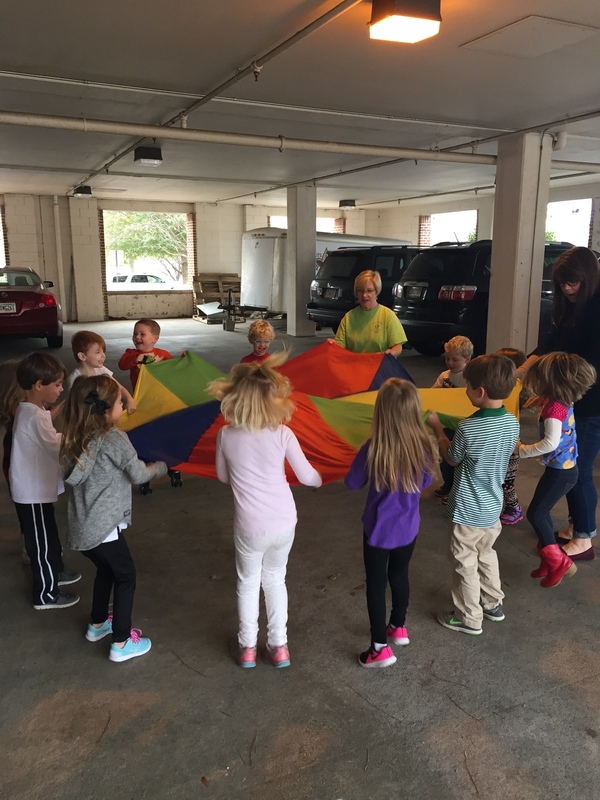 Our Movement special is focused on developing gross motor skills in your child. Walking, running, jumping, climbing, balance, and strength all involve the larger, stronger muscle groups of the body. In early childhood, it is the development of these muscles that enable the baby to hold his/her head up, sit, crawl and eventually walk, run and skip. Music class is designed to help your child develop their creativity through exposure to another form of art – music! 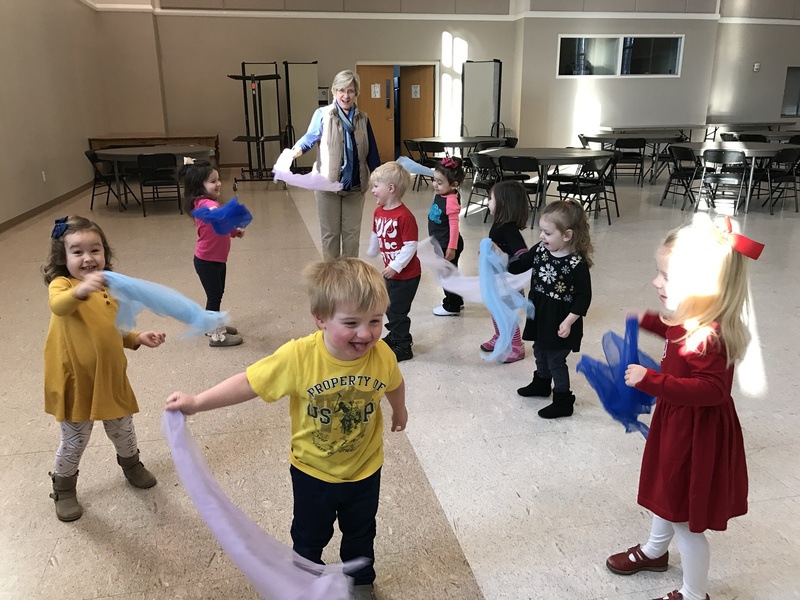 Singing, dancing, and playing basic music instruments helps their body and mind work together and the benefits show up in the child’s overall social, emotional, language, gross motor, and literacy skills. 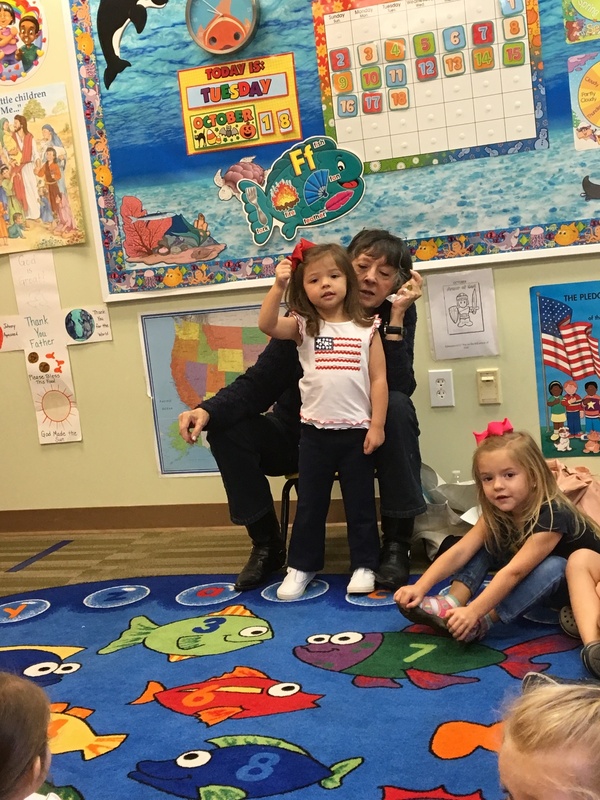 In addition, the children are able to learn about various world cultures through international music and even catch up on the nursery rhymes and songs we all sang as children. Children use music to form friendships and share feelings throughout their childhood, so we want to give them a love for this art form in preschool. Science class is designed to show your child how to find science and math in everyday life. Children are born wanting to learn about and explore the world around them. This special involves the use of basic science experiments and activities, using both traditional scientific tools and common household items, to help children learn about all areas of scientific inquiry. They are able to organize and communicate what they learn and understand the difference between concrete and abstract ideas. By taking advantage of what they see and experience as part of their everyday life, your child is learning the basic steps of scientific reasoning through asking questions and receiving guidance on constructing an explanation for what they observe. Social Studies & U.S. History are taught in the 4-year-old and Kindergarten classrooms using a common curriculum based on the Kindergarten Georgia Standards of Excellence for Social Studies. This curriculum, combined with the existing computer class geography curriculum, and the individual classroom celebrations of our national holidays provides a complete history, geography, government, and economics education. Each of these lessons is taught with a variety of media and further enriched with math, science, and language arts hands-on activities.